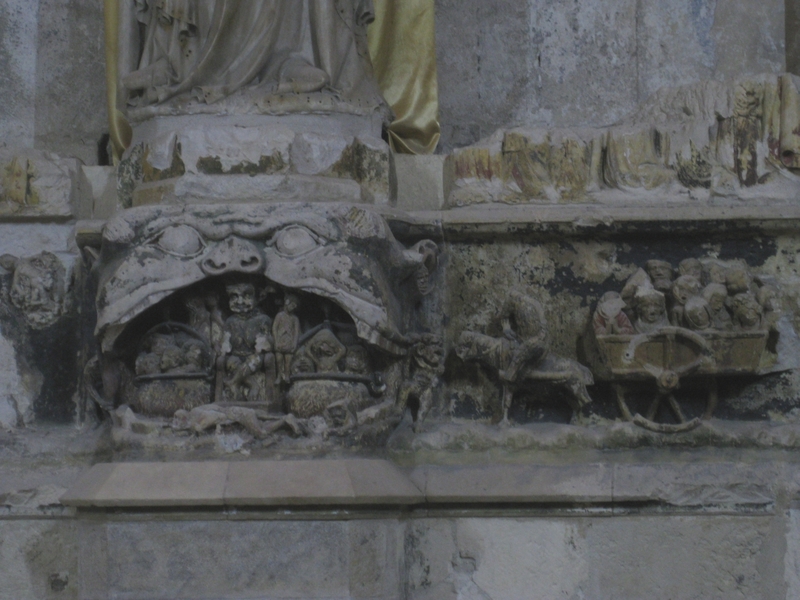 A relief in the apse of Narbonne Cathedral showing the mouth of Hell filled with damned souls. To the right, a donkey pulls a cart with more unfortunates destined for the same. The Virgin surmounts it all. A storefront on a small street in Narbonne. 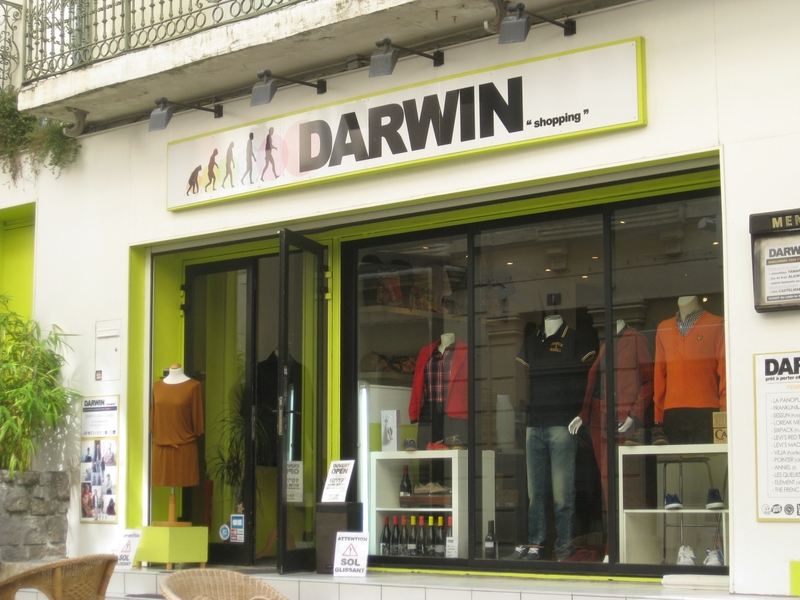 Not quite sure what the missing link between shopping and Darwin is, but clearly our view of mankind and its needs and ends has changed a bit.